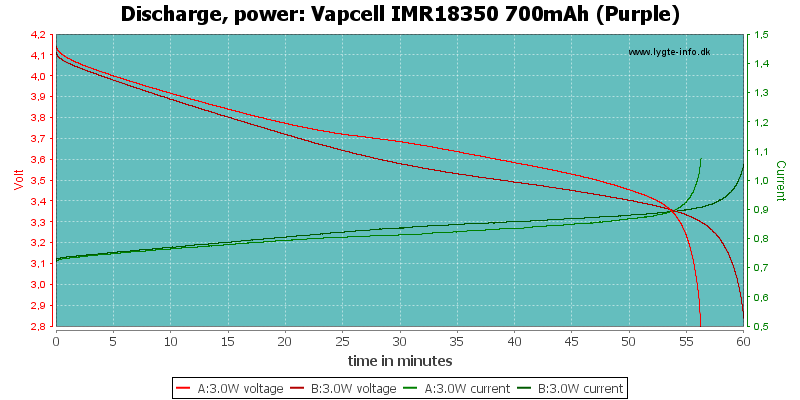 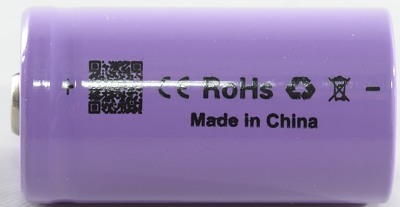 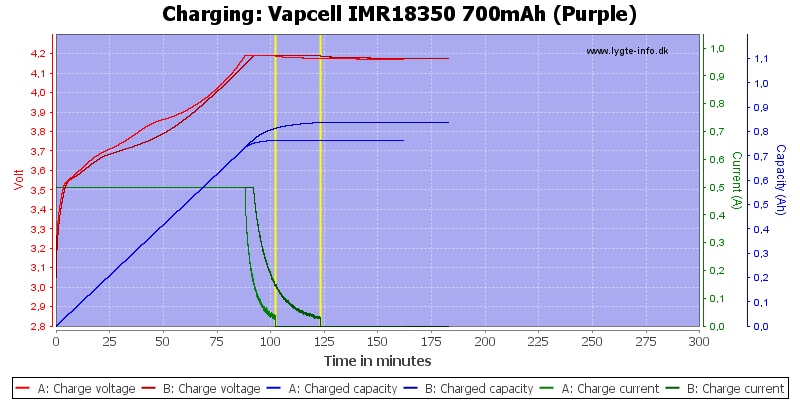 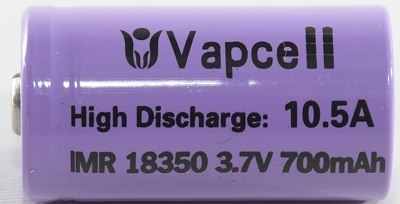 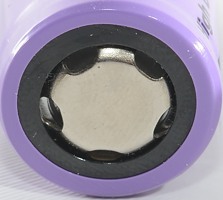 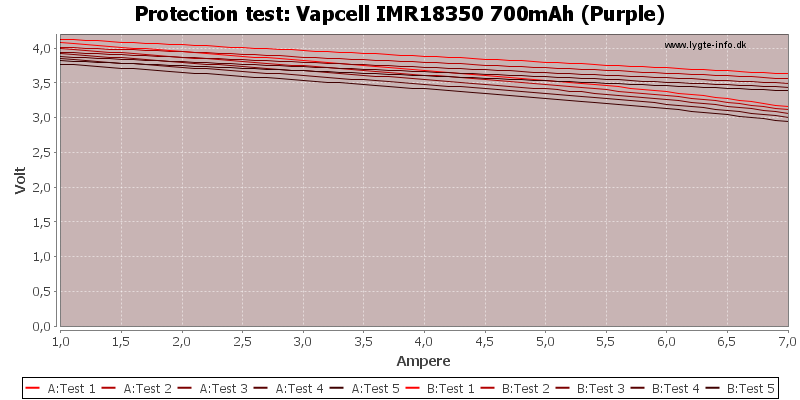 The low capacity 18350 from Vapcell, the do also have a 900mAh version. 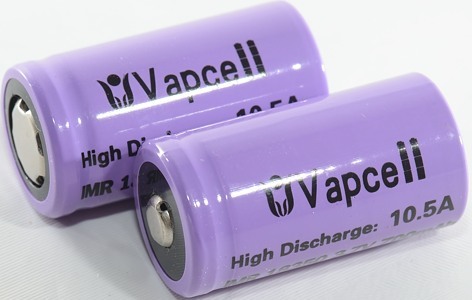 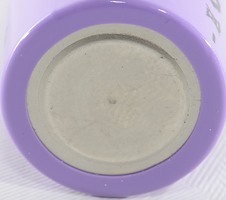 I got two different cells, one is flat top, the other is button top, this usual means a small difference at high currents (Button top usual has a slightly bit more resistance). 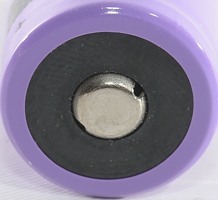 This does not look good, they do not track, they have both different capacity and resistance and that difference is not due to button/flat top. 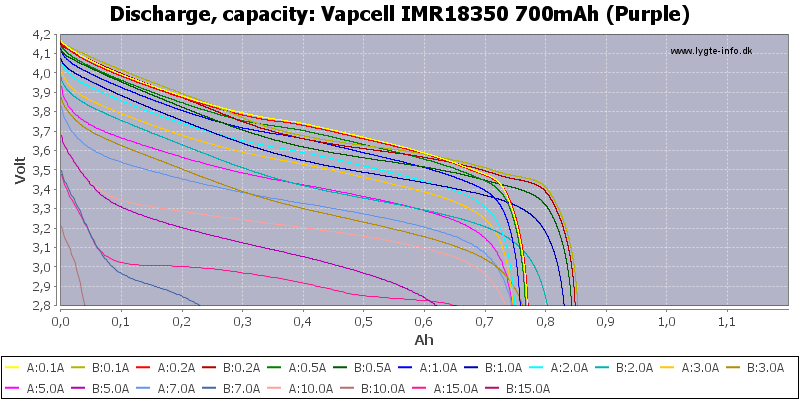 One of the cells can handle 10A, the other can only handle 5A and only with difficulties. 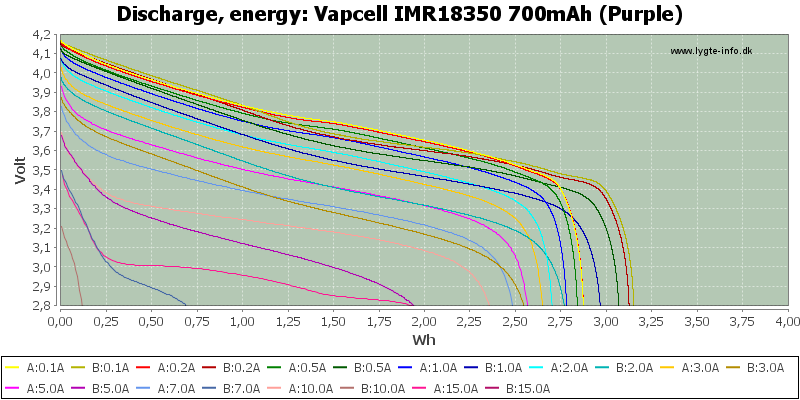 The A cell has fairly acceptable performance, but with this much variation between the two cells I will call this cell a bad choice. 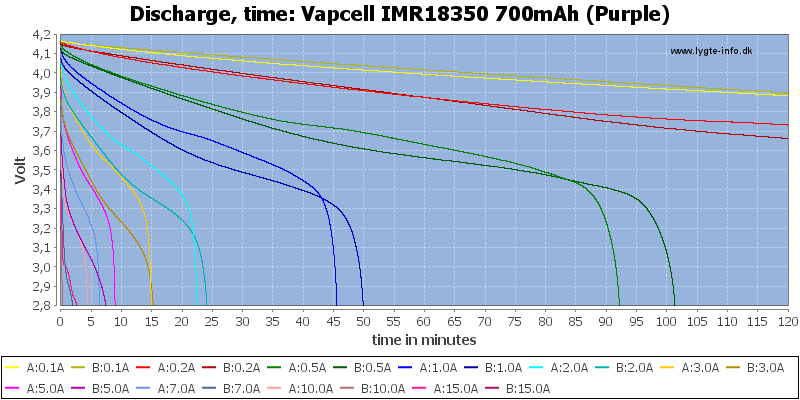 I did not mix the 700 and 900 cells, both 900 cells has above 900mAh, there is more about them later.